Bring out your inner bear! 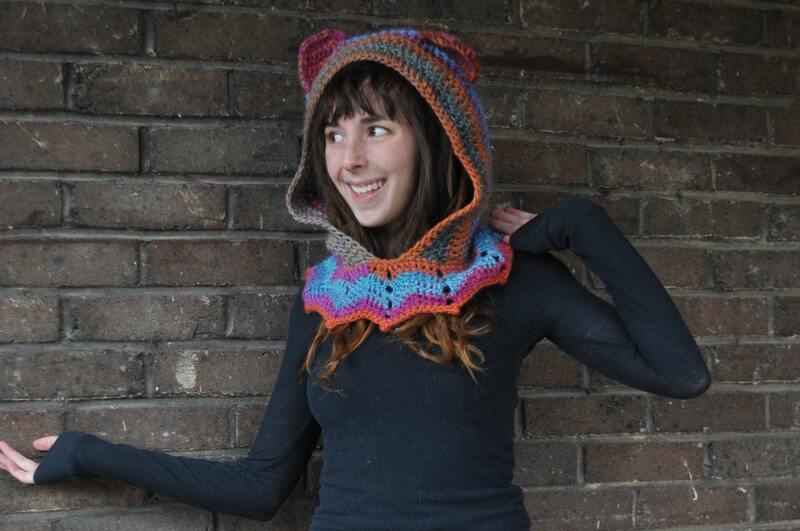 This hood was designed with the Grateful Dead dancing bears in mind. 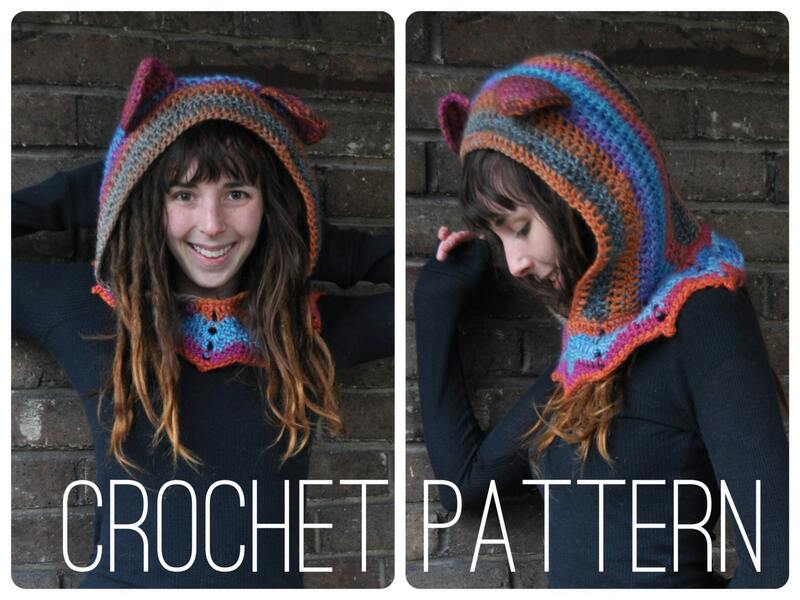 It has an oversized hood, floppy ears, and a pointed collar ~ perfect for keeping snuggly! 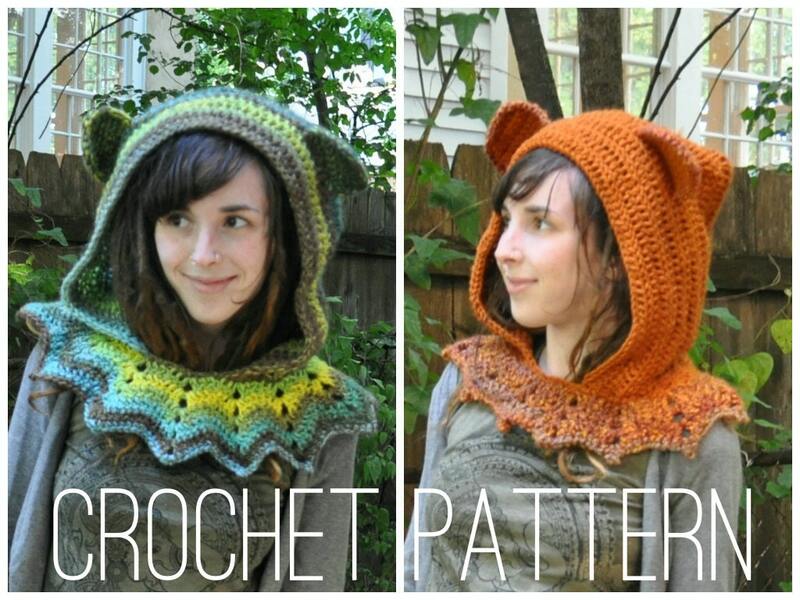 Stitches used: chain, single crochet, double crochet, picot, front post single crochet, and double crochet decrease. 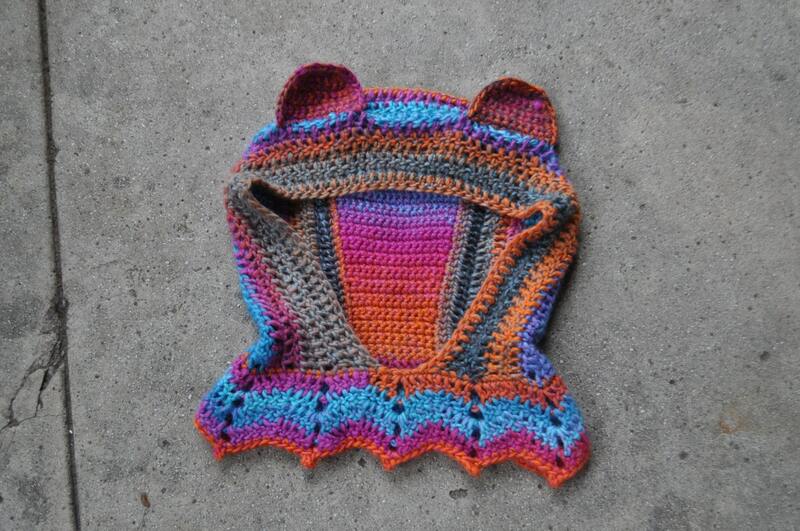 I've had some customers use a lighter weight yarn and the same hook and make one for their kids -- too cute! Bought this pattern for my friend. 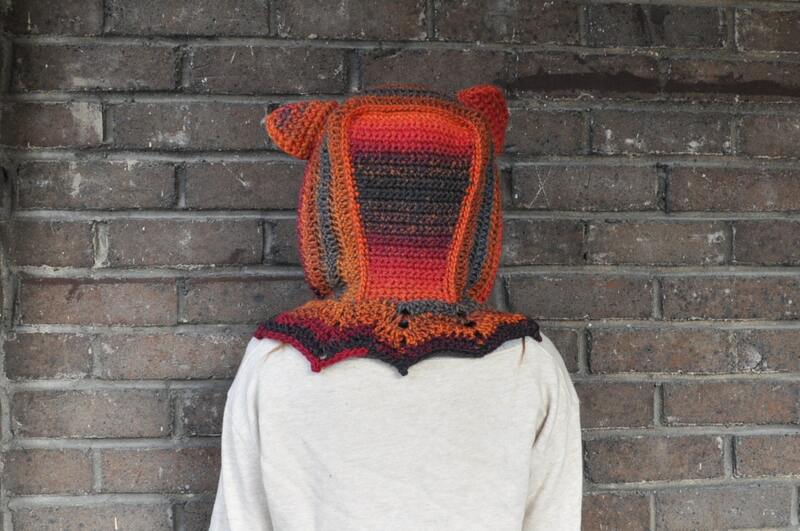 She made the small for my son (5 yrs) and it's the most adorable hood I have ever seen and he adores it!